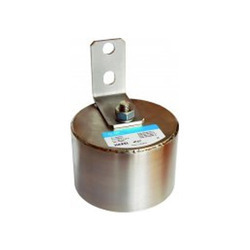 We are a leading Manufacturer of hgs 100 rw voltage limiters and hl 120 voltage limiter from New Delhi, India. It is range of voltage limiters designed for overvoltage protection of personnel and equipment in DC and AC rail traction systems. It is recommended to install this limiter between the current return path and non-electrified parts of structures laying adjacent to the rails. Internal construction of HGS is based at application of high power gas-filled gas discharge tube (GDT), which is built in to stainless steel box. In case of overvoltage, HGS100 RW generates a durable conductive path between the overloaded area and the railway’s substation. This results in increased current loads that are sensed at the substation, tripping the safety switch and thus protecting personnel and equipment. In addition, all overvoltages generated by lightning are effectively limited by Hakel’s internal construction of HGS100 RW. All requirements given by EN 50122-1 and EN 61643-1/A11 relating to electrical safety earthing for this specific use are also fulfiled.